A team of French engineers have found an ingenious way to provide electricity: building artificial trees that generate electricity using the wind. The Wind Trees (or Arbre à Vent in French) are able to generate the power of wind of just 4.5 mph - twice as fast than a normal wind turbine. 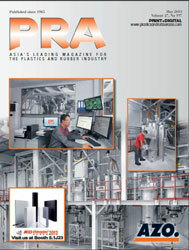 Three years of research went into completing the Wind Trees. These artificial trees which stand at 25 ft are hoped to be used in people’s homes and urban centres once they go on sale in 2015. The idea for the Wind Tree started with a tiny observation. 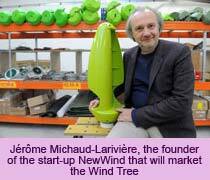 “The idea came to me in a square where I saw the leaves tremble when there was not a breath of air,'” Jérôme Michaud-Larivière, the founder of the start-up NewWind which will market the Wind Tree, said. "On a windless day I watched the leaves driven by an invisible force that moved by indeed the slightest air simmer. I wondered how many watts it could do. And if we collected the energy of the earthquake on the basis of the phenomenon? Multiplied by as many sheets as a tree has, what power would give? The Wind Tree was born,” he said. “[The energy] “had to come from somewhere and be translatable into watts,” he added. 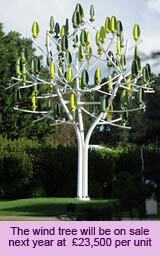 The Wind Tree consists of 100 plastic leaves that house tiny blades which propel the tree to turn in the wind and as a result, generate electricity. The 26 ft prototype of the tree is currently housed in the Pleumeur-Bodou commune in Brittany. Though it has not yet been tested by an independent laboratory, it is profitable after winds of 7.8 mph on average over one year. 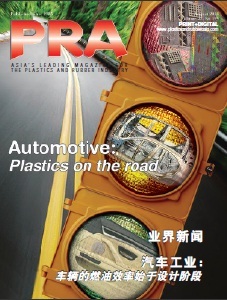 Michaud-Larivière hopes that the tree can run on small ‘deposits’ of air that go through along buildings and streets, and power objects such as LED street lamps. The trees can be combined with other power-generating means, such as photovoltaic and the geothermal. He also hopes to create a perfect tree, which contain leaves made up of natural fibres and rots that can power geothermal energy. However, it remains to be seen whether the Wind Tree will be a hit. Robert Bellini an engineering expert at the Environment and Energy Management Agency (ADEME) says the potential such trees in the city remains “quite low”.